The use of cannabis is steadily growing, especially now that more and more states are starting to ease through the use of marijuana. Technically speaking, it is still illegal under federal law and is currently labeled as a Schedule 1 drug under the Controlled Substances Act. Meanwhile, medical marijuana is legal in most states. This gradual boom of medical and recreational marijuana has resulted in the rise of cannabis dispensaries. Although it is a good paying business to have, it is not an easy business to be in. The reason mostly is because it is a high target amongst thieves. It is important to have a tight security in your business to safeguard your assets. With that said, here are 5 tips to improve the security of your cannabis dispensary. Banks that provide service to any legal marijuana business may be criminally charged for aiding, abetting and conspiring with a federal crime and money laundering. That’s why some believe that since most banks won’t service marijuana dispensaries, there must be lots of money in there. 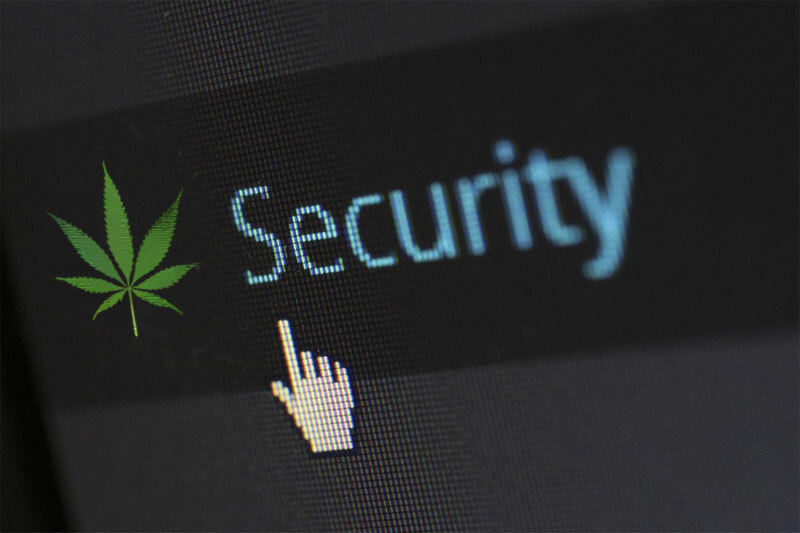 This is why the involvement of a professional security company in your dispensary security plan might be the most important part of your its security. The right security system must work not only as to protect your assets but also to comply with the necessary dispensary laws in your state. FrontPoint is an option, which is well reviewed by Delwine Joseph of AlarmFreak, if you’re located in New York. You can opt for a DIY security system but overall, it’s better to have a professionally installed one. Professional security companies do a site assessment to determine the security solution for you. You can be sure that the equipment is properly installed and is specifically designed to tailor your needs. Security systems also include cameras, motion detector alarms, locks, as well as video surveillance that are essential for any cannabis business. One additional tip regarding this is that the cameras’ placement around your business is more important than the number of cameras that you have. Aside from the security system, the next most important thing in keeping your business safe is the people inside it. Your employees are next in the line of defense against security threats. However, they can also be the threat themselves. Did you know that up to 90% of losses that are reported by cannabis dispensaries are linked to theft spearheaded by employees? Before entrusting them with your business processes, it won’t hurt to thoroughly screen your employees. Conducting background checks and interviews of employees can help in protecting you from risks such as internal theft. If you’re confident that you have trustworthy employees, they can be vital in keeping the overall security of your dispensary. They can act as an extra set of eyes around your business, especially during busier times. Training them in different possible scenarios that may happen as well as security procedures can greatly help too. The employees are the ones handling the product and have knowledge on daily business processes so treat them as an asset. Possible dangers do not exist only inside the dispensary itself. Transporting your cash as well as your goods unprotected is like making yourself a moving target for criminals. You can extend the video surveillance to the trucks that deliver your product from one location to another to monitor them during the transport. Some dispensary’s transport system is no different from the armored trucks that banks have when transporting money. Aside from being bullet resistant, including a GPS tracking to the mix can let you know that your goods arrive safely and securely. You can detect and avoid theft just by managing your inventory. Using your POS system and inventory management software, you can do inventory check throughout the day. You’d be surprised to discover even smaller internal thefts if there’s any. It is also advisable not to keep cash and products that are more than necessary in conducting daily business to avoid being a target. You can always keep them offsite or in a vault in a different location. Security systems are more for detection and extra eyes for your dispensary, but what makes an establishment more secure than a security guard? Most security guards are stationed at the entrances to check for customers’ patient cards, doctor’s certificates or identity cards. However, guards can also make customers a bit apprehensive when entering the establishment. To avoid this, some dispensaries have their guards dressed the same as a regular employee instead of the usual guard uniform. They also partake in making the customers feel invited just like a regular staff would. Furthermore, guards can keep your dispensary safe even after business hours since break-ins usually occur after closing. Depending on your location, it can be a mandatory security requirement to have a full-time security guard that will patrol on the area.